Mom and Lifestyle Bloggers, Pinterest is your friend! 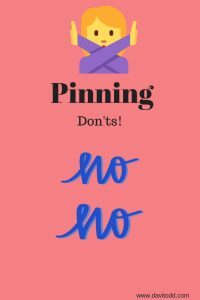 Here are my top 5 reasons you should use Pinterest if you’re not already. Today Buffer did a webinar on Pinterest with Leon Lin and Aaron Ru hosted by Brian Peters. This was a very informative webinar that all bloggers in the mom and lifestyle niches can learn a lot from. I never really intended to write a blog on blogging but, I found this information so helpful today, I felt I just had to share. I learned so much but these are my top 5 reasons mom and lifestyle bloggers should use Pinterest. Below are the main principles I took away from that interview. 1) Pinterest is FOR creatives! I knew this in the back of my mind before I ever became a blogger. How did I know this you may ask? Well, I have been using Pinterest for personal use for years! What did I use it for? IDEAS. Pinterest is the perfect platform for a mom looking for inspiration. I went there to have my creative juices stimulated by other creatives. 2) Pinterest doesn’t use your friends or relatives likes to guide their recommendations for you. INSTEAD, Pinterest uses YOUR boards and likes to base recommendations for you. Wow! What a concept! I got to thinking about this and Face Book is a little more like peer pressure. They are usually giving you things like, “Hey, your friend Crystal likes this, maybe you should too.” This is not necessarily a bad thing since I am also interested in a lot of things my friends are interested in. However, Pinterest is more for individualism and personalizing to your actual tastes. Both media platforms have their place for sure but, Pinterest has a more personal feel. 3) Moms use Pinterest! Before I began blogging, that’s exactly who I was. ; a mom using Pinterest for creative ideas! In fact, the interview alluded to almost 80% of Pinterest users being moms! First time moms, home school moms, working moms, veteran moms, all types of moms us Pinterest. If mom blogging is your niche, THIS IS WHERE YOUR AUDIENCE IS! 4) Another thing the interview brought up was, 1 in 2, (50%) of Pinterest users come there with an intent to purchase. Fashion and lifestyle bloggers as well as mom bloggers can use this to their benefit. Views and clicks are great encouragement to continue making great content. However, conversions that help earn the income needed to spend all your time creating is also very important. 5) Evergreen content is truly evergreen on Pinterest. I know from using Facebook myself, after just a few hours, anything posted on the feed is bumped way down. On Pinterest people often save your creative works AND return to it several times. They may even share with their friends and family who will in turn save and return. The life of content feeling “fresh” on Pinterest can be 6 months or more! Other platforms may give you only 3 days of traffic. Buffer is a great resource! Especially for those bloggers who are just getting started. I highly recommend that you follow Buffer and see if you can get the replay of this webinar. It was amazing. 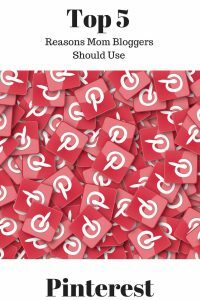 The new guide to best practices on Pinterest was also released. Leon Lin and Aaron Ru both expressed that Pinterest is for the creator. They also recommend you pin daily but definitely not less than once a week. Go ahead and get a business account and use the analytics tool to help you. Do use the group boards for collaborations with other bloggers or social media influencers. Don’t be spammy. No one likes a person that is self centered and only cares about themselves. Not only does Pinterest respect you as a creator, they also respect you as a curator. Help them find the good stuff and pin that too! As a Christian, I like the idea of a tithe, for 10 pins you pin, make 9 other peoples and yours the one. Don’t over pin though, 20 pins a day may cause you to look like a robot. The biggie for me on group boards was, don’t expect these to help your traffic. The guys at Pinterest will start docking for non collaborative group board pinning! Use it as intended Leon Lin stressed, for collaboration! No Giraffe pins! Users don’t like these they said. They take up too much space and make it difficult to browse on the phones. Pinterest has success when you have success. Their goal is give creative content to their users. Pinterest wants great creators! Let them help you by using their tools as intended. So, let’s take this knowledge, apply it, help each other, and get creating! What do you think? Do you agree or disagree with my top 5 reasons to use Pinterest? Leave a comment below and let me know if this helped you. I absolutely love Mother’s Day Tea Parties! I enjoy hosting Mother’s Day Tea parties just as much as I do attending them. Are you looking forward to this Mother’s Day? Have you thought about making memories with your loved ones with a tea party? Hosting a Tea Party can be a wonderful way to make memories with your friends and family. If you’ve never hosted a Tea Party, don’t be intimidated, it can be a lot of fun once you a few parameters set. This post contains affiliate links for your convience. These links do not increase the prices for you but they do help keep the content free on this site. Your support is greatly appreciated if you choose to purchase from these links. 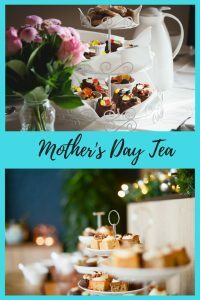 A Mother’s Day Tea Party can be informal and simple or it can be a grande affair, also known as a “High Tea.” Some Mother’s Day Tea’s are a mix of the two with an informal or whimsical theme with a fancy dress. I personally LOVE big hats so I like to go with either a formal theme or a whimsical mix. What can I say, I’m a Texan, bigger is better right? Hahaha. When considering a theme I like to think about weather conditions we are likely to have. Since I live in Florida it’s often humid but I’m really partial to a garden theme anytime the weather is good! 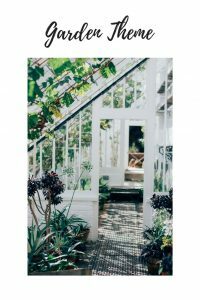 Perhaps the fact that we often eat indoors daily makes the idea of a garden theme that much more alluring. I do suggest selecting a location that has some sort of shelter to offer a back up plan if you select an outdoor garden theme. Song of Solomon offers a great garden theme if many of the guests to be invited are single. Song of Solomon is one of my favorite books of the Bible and I really love this theme for a formal affair. Gardenias are a particular favorite for me when I choose this theme. 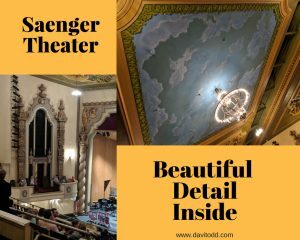 Since Song of Solomon also speaks about riding in the chariot with the King, I really like to embellish the decorations as much as possible and over emphasize the flowers. An Alice In Wonderland theme is great for mothers with smaller children that would like to attend a special event with mom. This theme is excellent for both indoor and outdoor facilities and offers a wide array of dress to guests. Hats can big and tall or short and small. This theme also allows for mix matched tea cups and saucers, napkins, tables, chairs etc. I really enjoy hosting this type of tea party as well since the sky is truly the limit! Another theme I like is the Proverbs 31 woman. I usually read over this passage and select a few features that tie in with it. For example, I use the color red in the decorations since verse 10 mentions her price is far above rubies and verse 21 says that her clothing is scarlet. Since this passage really demonstrates the high value of the famous Proverbs 31 Woman, I like to use this theme for a formal “High Tea” to honor a special lady such as a pastor’s wife, a very special grandmother, or another lady considered to be a “pillar” in the church. Fine tapestries are also mentioned so I like to use all cloth table cloths, napkins, and make a nice drapery area for photos. Themes can be easy and simple too. My daughter and I once did a small little tea party for just the two of us during nap time of the boys. We had cucumber sandwhiches and pecan sandies with her princess tea party set. We made good use of her Disney Cinderella costume as well. Since normally I’m a huge stickler for food being only in our kitchen, we broke the rules and took the food up to her room! When planning your theme don’t force an idea you can’t get excited about. If the stress takes the joy out of planning your mother’s day tea party, go simple and small. Afterall, the main purpose of the tea is to build and strengthen relationships and memories! Perfection is not required. Choosing who to invite is pretty important! I’ve had a tea party as small as my daughter and myself and as large as 30 or so ladies. Your tea party can be any size. Would you like to have some quality time with just your own children? 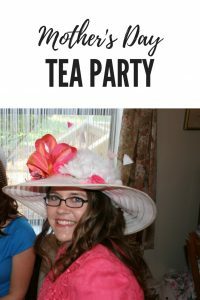 Would you like to have a generational tea party with your granmother, mother, and daughter? Is honoring a lady in your community or church on your mind? Answering these questions will help you to determine how large your guest list will be. When making your guest list you will also need to keep a date in mind. If your guests work outside the home on weekdays, you’ll need to keep this in mind for the best attendance. In my circle of friends, quite a few of us work from home or outside the home on Saturdays so, weekends are not always the best option for a tea party. It’s also important to think about Mother’s Day traditions in other families as well. Perhaps many of your friends go out to eat on that day at the mother’s favorite resturant or maybe they take a weekend trip to hike at the national park. Whatever the case may be, you’ll need to try and anticipate as much as possible from your guests to get the best attendance. Your location should match up with your theme and guest list. Some locations may require a large purchase of catered food or rent for the location. If your location will require a deposit or food purchase, you’ll need to make sure your budget allows for it. Try to select a location your guests will be excited to visit such as a tea cottage, a beach house, or a country cabin. Take time to talk to friends that may be property owners or realtors that can help you find a hidden gem. Tight budgets may find a nice little church will offer a room for a tea party. 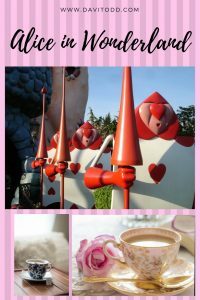 Even a nicely kept public park can make a nice area for a tea party, especially with the Alice in Wonderland theme! If you do choose to go with a public park be considerate of music selections and clean up well before leaving. Some of my most fond memories come from parties we have done at a local park. Planning the food can be the biggest challenge for the do it yourselfer! However, I find this part to be very enjoyable despite the challenges. 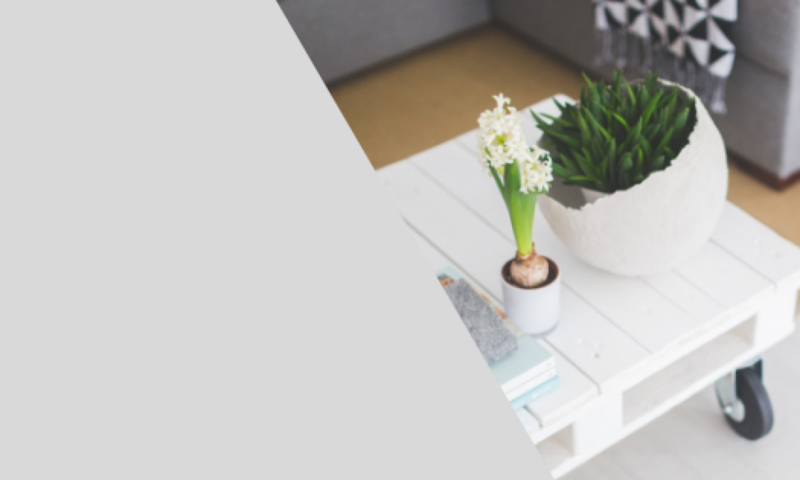 Pinterest can be a great tool for ideas but, I’ve taken the time to round up some great ideas from my fellow bloggers for you as well. If you’ve choosen a location that provides catered food you may still get to make some decisions about what exactly is served. I hope these ideas help you to decide even if working with a caterer. A formal or High Tea should be a full meal. Here are a few ideas! These slow cooked Chilli Beef mini pies make a very satisfying yet incredibly cute way to serve your main course. These rustic spinach ricotta puffs are a great way to sneak some veggies into your savory offering. Don’t these look mouth watering! Huge thanks to Klara at Her Happy Heart for these fabulous recipes. This biscuit recipe is a nice addition for guests on a low carb or gluten free diet. These whole wheat date and fig muffins are hearty enough to serve as a brunch and just sweet enough to teeter on the desert fence. Of course we couldn’t leave out the Cucumber Sandwiches! This recipe from allrecipes.com is always a trusted source for me. Let’s not forget the deserts! These Coconut Macaroons with Chocolate Drizzle from The Foodie Journey are amazing! For the low carb or gluten free guest, these Almond cookies require only 3 ingredients and they are a perfect treat for a mother’s day tea. For a formal affair, you can’t go wrong with this classic Tiramisu recipe. This gluten free brownie recipe adds a gourmet feel to your party. Non chocolate lovers (yes there are actually some of those) will love this no-fail white chocolate and caramel fudge. These darling little peanut butter cookies are easily made with only 4 ingredients and are great for mother’s day teas. When selecting teas, you want to be able to offer a variety of flavors. I always serve a black, white, and herbal blend of tea at a mother’s day tea. I usually also pick a really out of the ordinary tea such as a chocolate. My personal favorite teas are the fruity blends such as blueberry anything. Ask your friends if they have a favorite or if there is a type they’ve wanted to try! This article from Life Is Better With Tea will help you to find reliable and trusted online stores for teas. I have personally bought from Teatulia Organic Teas in the past. 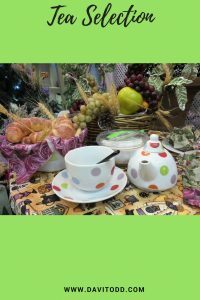 Her website is a great resource for how to make the perfect cup of tea all the way to proper selections of tea and even recipes for tea too. I think you’ll love all the teamazing knowledge Mary Ann has to share! My favorite local tea shop is K & G Blended Teas. They have wonderful hand blended teas. My favorites from them are the African Honeybush Sangria and the Wild Card tea. Their Chia teas are wonderful too! When possible I really like to cover the entire tea party cost myself however, that’s not always feasible. If you’ve got money set aside for a tea party, look at your theme, guest list, location, and available decorations and see what you will need to plan for. A tea party for six in your grandmother’s back yard may not require the same expense as a luxury hotel conference room for 80 ladies. A few years ago there was the sweetest and most adorable little tea cottage in our local area that could seat about 28-30 people at one time. Several ladies from our church felt this would be a great venue however it required a minium purchase agreement in order to rent the entire space. We had a meeting with all the ladies in our church and discussed doing a dutch treat tea party that year. The service was so wonderful that we did it another year as well! 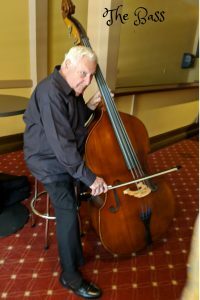 Sometimes the perfect venue is worth guests paying their way. If you’ve decided to use a location that will require you to service both the food and decorations you will need to consider the costs of these in your budget as well. When my friend and I hosted a tea party at our church, we looked for decorations at thrift stores, yard sales, and craft fairs. Another good idea is to see if anyone you know has tea pots, linens, flowers, tea cups, or other decorations you can borrow. Several older ladies in our church has tea sets that had been boxed up in the attic for years! Asking for the use of these items really thrilled these ladies. There is also the potential of teaming up with a local women’s shelter and donating some or all of the proceeds to them. Many businesses will be willing to sponser your event to help the community. 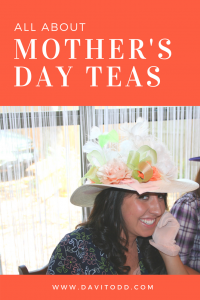 You could have monetary donations, decorations, and even food donated for the use of a non profit mother’s day tea to benefit a women’s shelter. The Dress! Big Hat or Small Town? Personally, I’m a tradionalist and absolutely love to wear a cute dress to a Mother’s Day Tea Party. Something about a dress just makes me feel classy and boosts my self esteem. Just add a touch of lipstick and a matching pair of shoes and you can conquer the day in a beautiful dress! I know a lot of people enjoy getting a new dress around Easter time but, I like to hold off for Mother’s Day. Jane.com has a great selection for dresses, shoes, and even matching jewelry in their daily boutique deals. They have several styles to choose from from a simple T-Shirt style dress to a cute sun dress. My top pick from Jane for a mother’s day tea. My favorite “mommy and me” dresses from Jane. 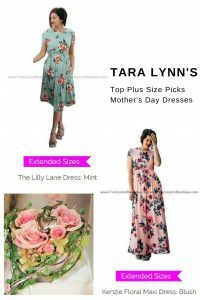 If you are looking for plus sized items Tara Lynn’s Boutique is the place to go, they have sizes all the way up to 5x. I’m really impressed with their colorful prints for plus sized clothes! They also have a few “mommy and me” matching dresses. My little one and myself love to dress alike a few times a year. I love these spring florals in sizes all the way to 5X! 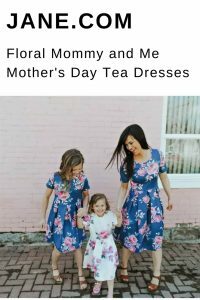 These “mommy and me” stripes and floral combos are perfect for a spring tea. This is my favorite “mommy and me” combo! I’m in love with the blue. 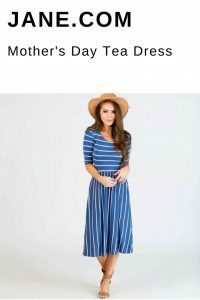 Cents of Style is another great place to find a mother’s day tea party dress. 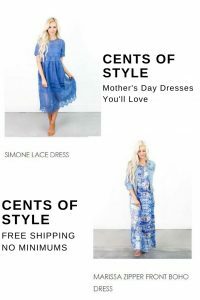 My favorite thing about Cents of Style is they always offer free shipping with no minimum purchase required. Sign up today and make a purchase of $25.00 or more and they will include a free pair of earings! My top picks from Cents of Style! This is the lowest price I’ve found anywhere on this cute flowing skirt. Adding a big hat is, as you already know, my personal icing on the cake. I love to make my own hats! Of course you can always buy your own Kentucky Derby style hat and even enjoy the hunt for it. However, I’ve found it much more economical to purchase summer hats like these here from Jane.com and then embelish them myself to match my dress. 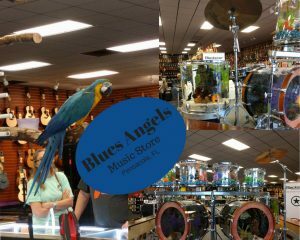 If there is a Peacock owner in your area you may be able to find your own feathers there much cheaper than hobby stores. 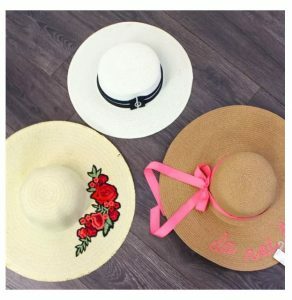 Summer hats from Jane.com to embelish for your mother’s day tea. Well, now that you’ve got some great ideas on food, teas, decorations, themes, it’s time to get that guest list down on paper. Once you’ve got your list made up create some invitations to match your theme. There are several places to choose from, Etsy, Canva (this is what I use), and old fashion card stock. If you don’t have time to press or decorate the old fashioned card stock, Canva may be your best bet. Etsy also has awesome options if you’ve got room in your budget. It’s a good idea to put out a feeler or save the date by word of mouth to your guests so they will know to expect an invite. Many families are very busy in the spring and they appreciate a little heads up to reserve the day. I like to send out my physical invitations at least 7 days in advance but not more than 2 weeks or they may get lost. 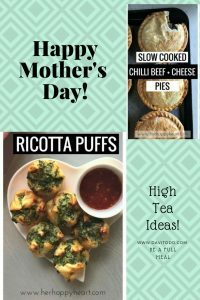 I really hope that you’ve enjoyed this post and have some great ideas for your next Mother’s Day Tea Party! Have you hosted a Mother’s Day Tea of your own? Do you have any great ideas to share? Please comment below and let us know! If you’ve found this helpful save it to Pinterest. I’d like to thank Mary Ann from Life Is Better With Tea. Klara from Her Happy Heart, Dana from Homestead Anywhere Piwakawaka Valley, Fa from Being Healthy Blog, Kristina from Stivi Wonders, and Sylvie from The Foodie Journey. I couldn’t have accomplished this without their help. Please visit them and say Hi! Sharing is caring, be social and share.